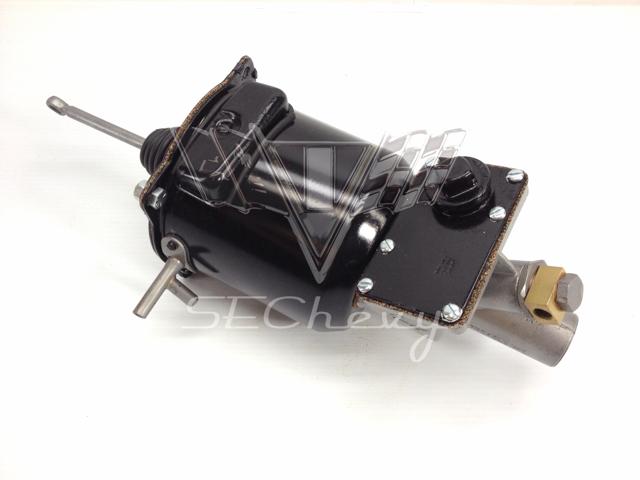 This original 1955-1956-1957 Chevrolet Power Brake Bendix Treadle Vac Master Cylinder Booster has been fully restored. We disassemble the entire the booster and restore or replace any of the interior pieces, plus we use new gaskets and rubbers for a perfect seal. The brake boosters have also been stripped and painted to give it the finishing touch. 1) With Core Exchange: If you have purchased the item using the "With Core Exchange" option, you will receive an email confirmation. Please print out the invoice confirmation and include it with your core. Use plenty of padding when shipping the core. 2) With Core Exchange - Pre-ship: If you have purchased the item using the "With Core Exchange - Pre-ship" option, we will ship you an additional invoice along with your re-manufactured treadle vac. Using the same box you can ship us your core along with the additional invoice. Use plenty of padding when shipping the core. Must have exchange. Call 407.886.1963 if you do not have a core. "Looks like OEM parts and works just as it should. Easy as bolt it on, fill it up, bleed out the air, and drive away." 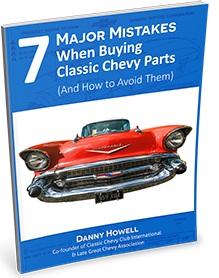 "Danny, Thanks for sharing your time and great knowledge on my 1957 Bel Air! 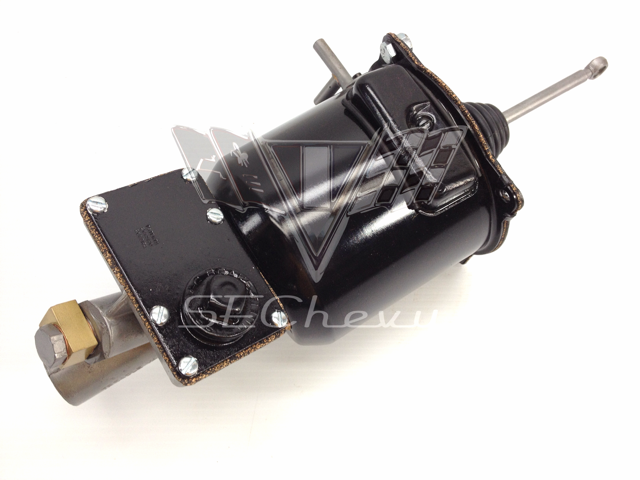 I am getting a car that has been sitting for several years running again and finding the original Treadle Vac Booster seemed almost impossible until I came across your website. " "Part was installed, the brakes were bled and everything worked out very well. The part was shipped as scheduled and fit perfectly. I would not hesitate to do business with Southeast Chevy Parts again. They were excellent." "I have dealt with many of the so called experts over the years but I think I finally found one in Apopka. Last week through a friend I found the website for Southeast Chevy Parts and this was the start to a great experience. I purchased the last remaining item I needed for my 1955 Belair Sport Coupe - a vacumn booster which actually works great. I would highly recommend Danny to anybody looking for perfect workmanship, delivery and a rapid refund on core return. Thank you so much Danny"
"These guys do what they say. I called with questions and got the answers. They delivered on time and best of all the Treadle-vac works great. I will be using them again in the future."